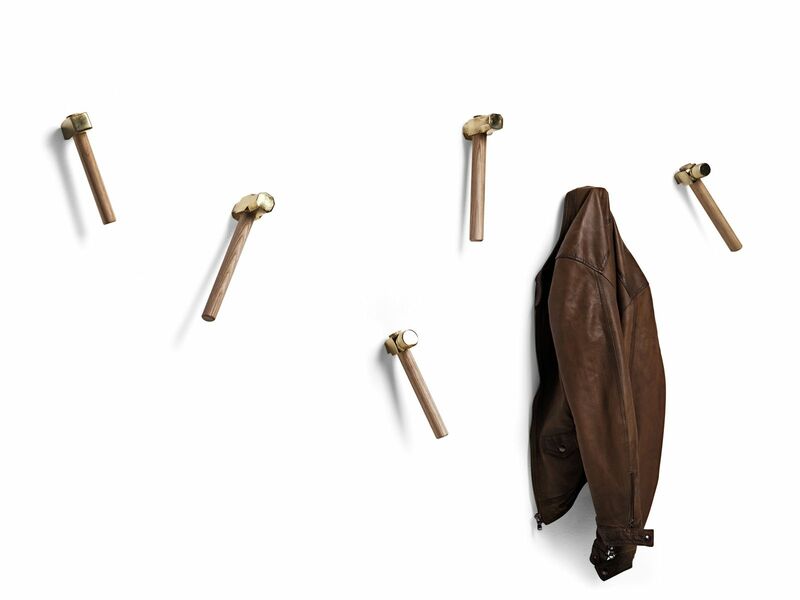 Bastaaa is a coat hanger by Marcantonio for Mogg. 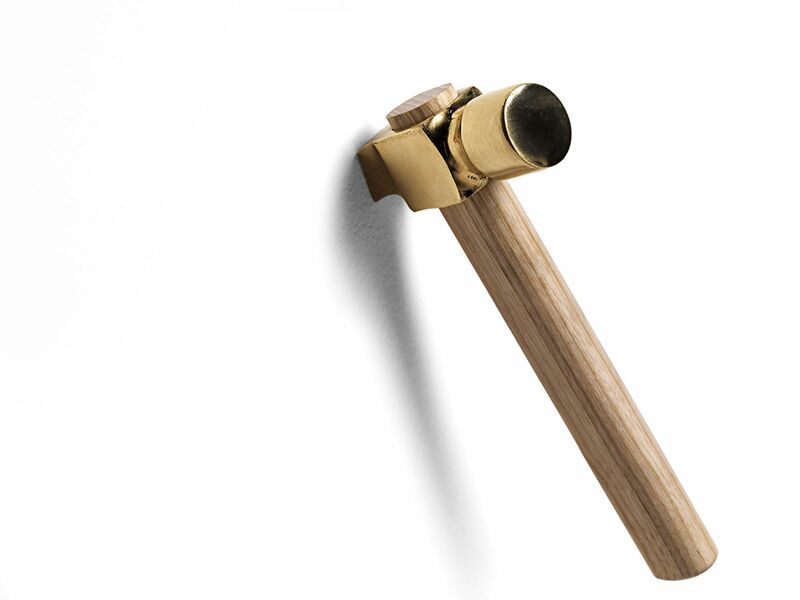 Olive natural ash handle and ferrule cast brass polished finish. Bastaaa is a tool attached to a gesture: linked to a precise gesture, to hammer, to nail, to break a piggy bank or to hit anything that we want to break, and when we are angry we would like to own a hammer to destroy the printer that doesn’t work! 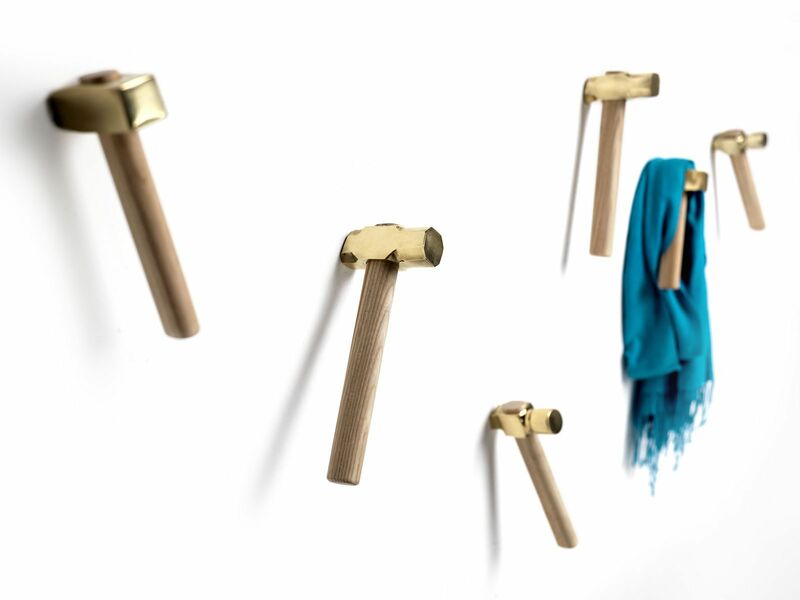 A hanger ironic that decorate your wall with playful style. 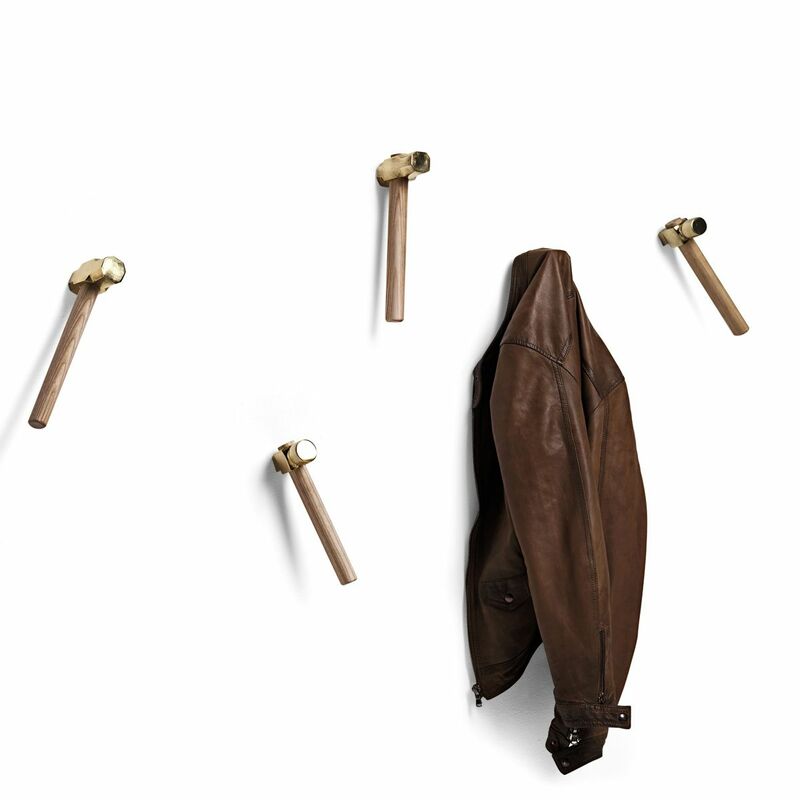 The package contains 3 hammers.